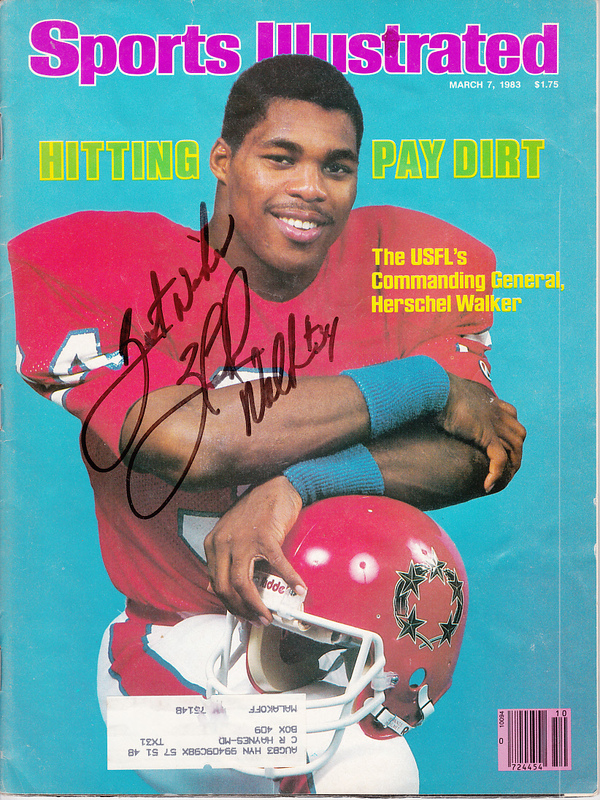 Complete March 7, 1983 issue of Sports Illustrated autographed in black Sharpie and inscribed Best Wishes by legendary Georgia Bulldogs and New Jersey Generals running back Herschel Walker. With certificate of authenticity from AutographsForSale.com. 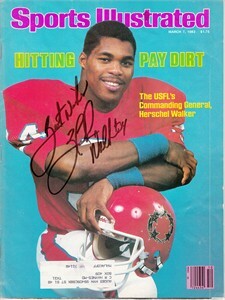 MAGAZINE HAS MODERATE FLAWS AND WEAR.